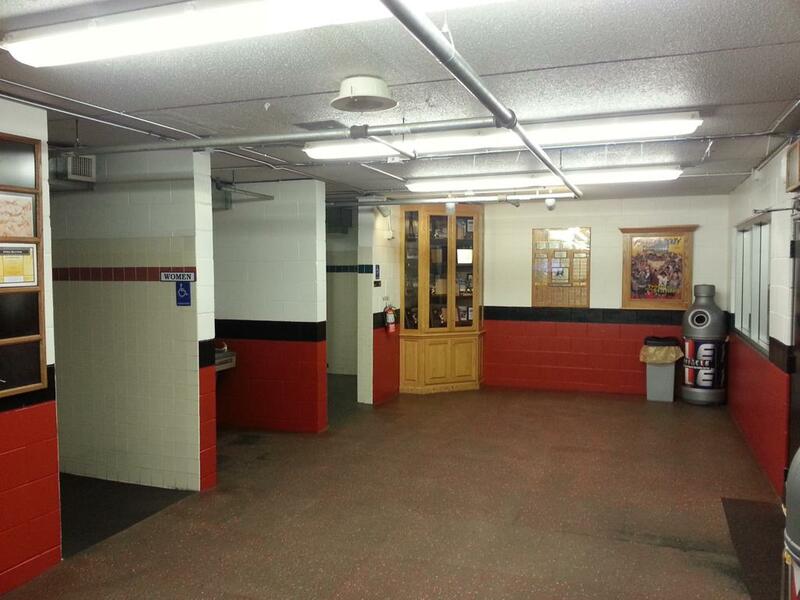 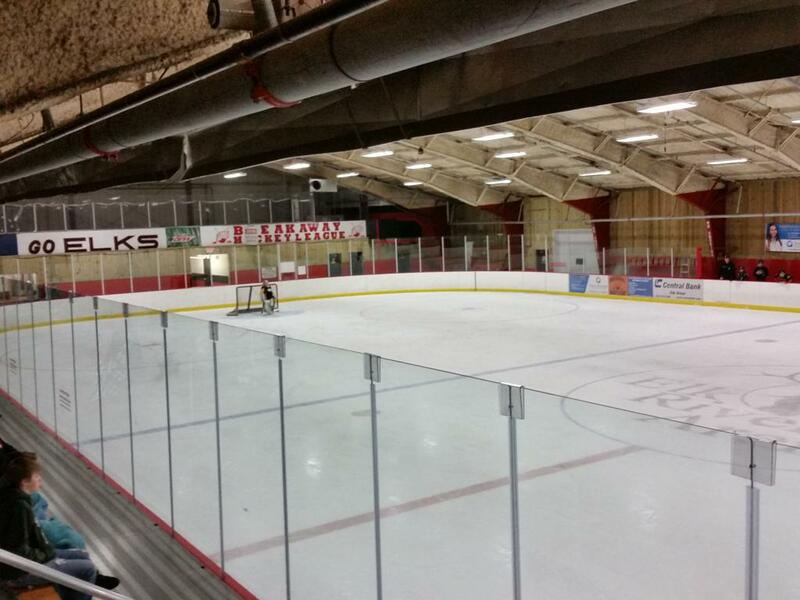 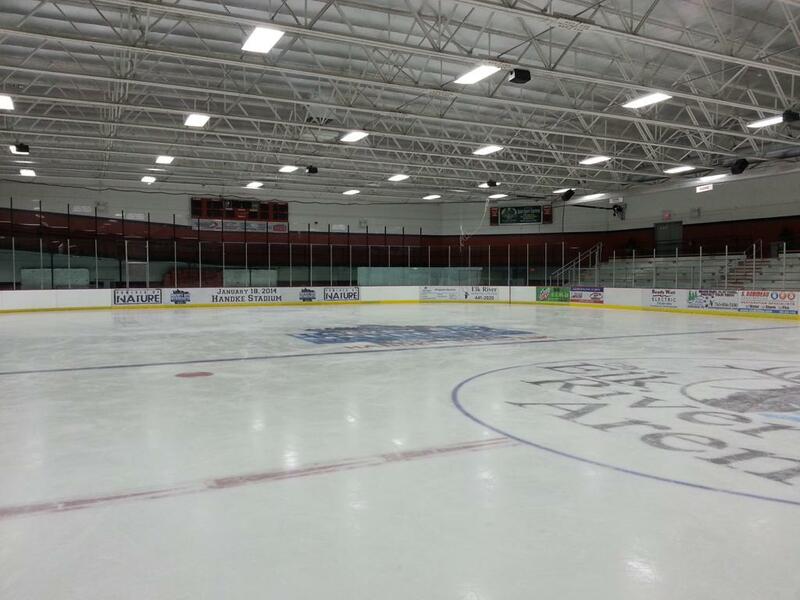 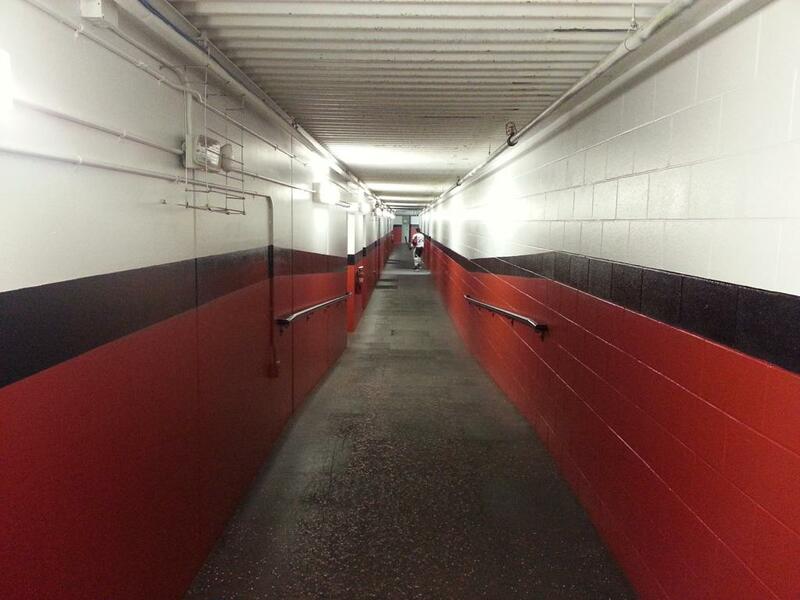 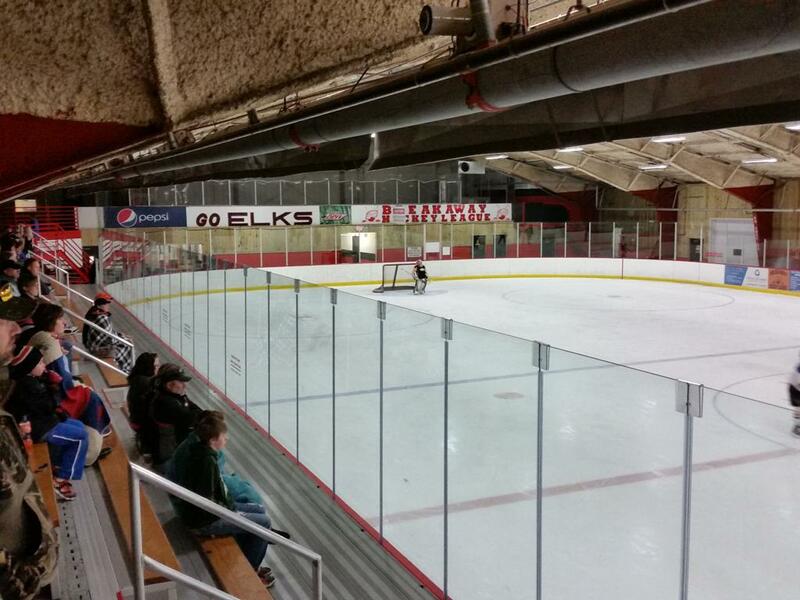 The Elk River Arena located next to the High School at 1000 School Street, Elk River Minnesota houses 2 sheets of ice within the arena for the various Elk River boys and girls youth hockey programs. 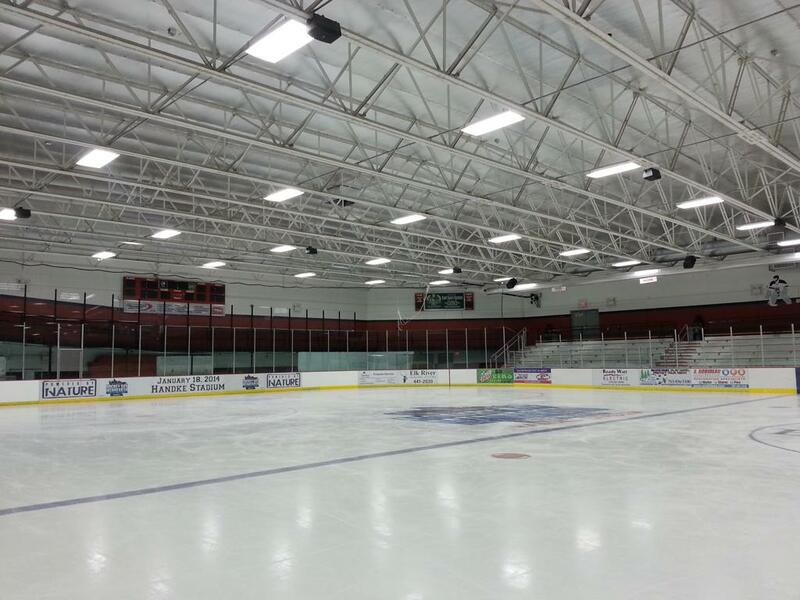 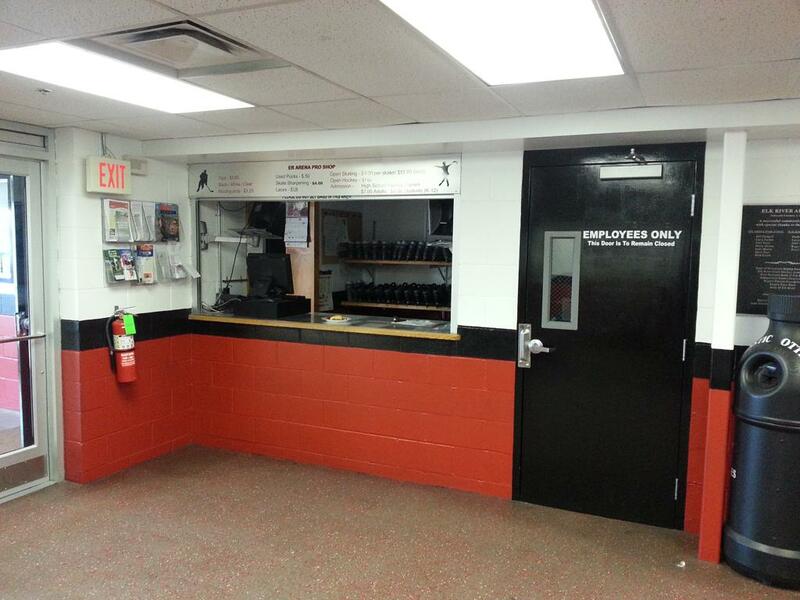 It is also the home of the Elk River Elks High School hockey team that has a rich hockey tradition, and history of producing some of the best high school hockey players, and recent NHL talent the state has seen within the "State-of-Hockey". 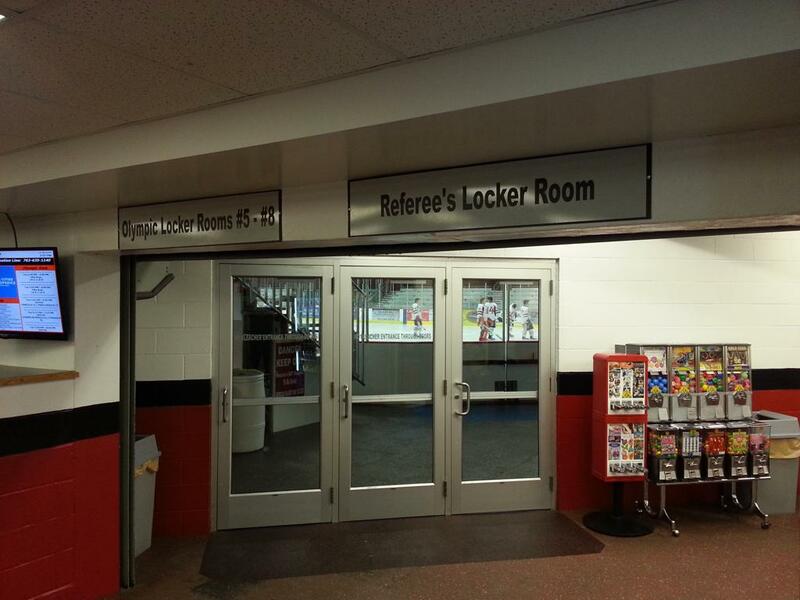 On the buildings exterior it displays 3 large banners of Joel Otto, Dan Hinote, and Paul Martin whom all wore the ER jerseys proudly. 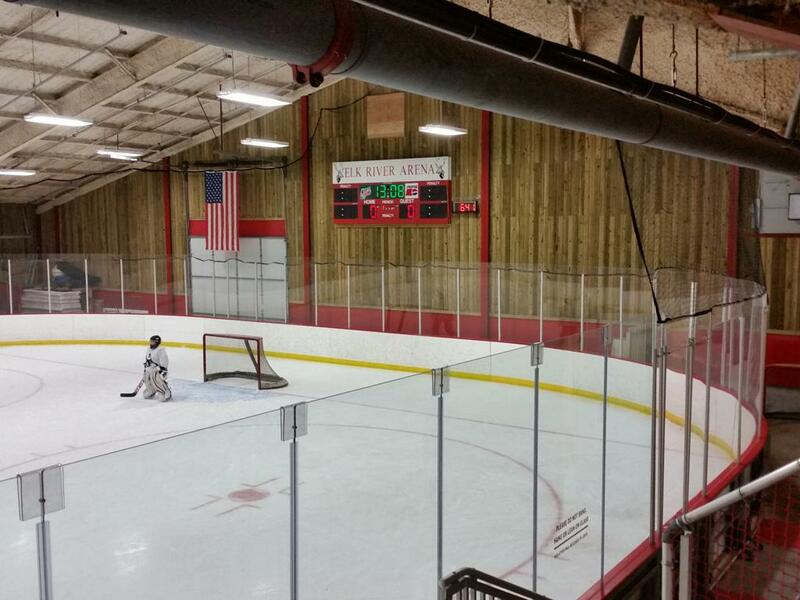 The 2001(AA) banner from the State Championship hangs proudly in the "Elk Barn", which aptly is the name given for the 1972 built "old arena". 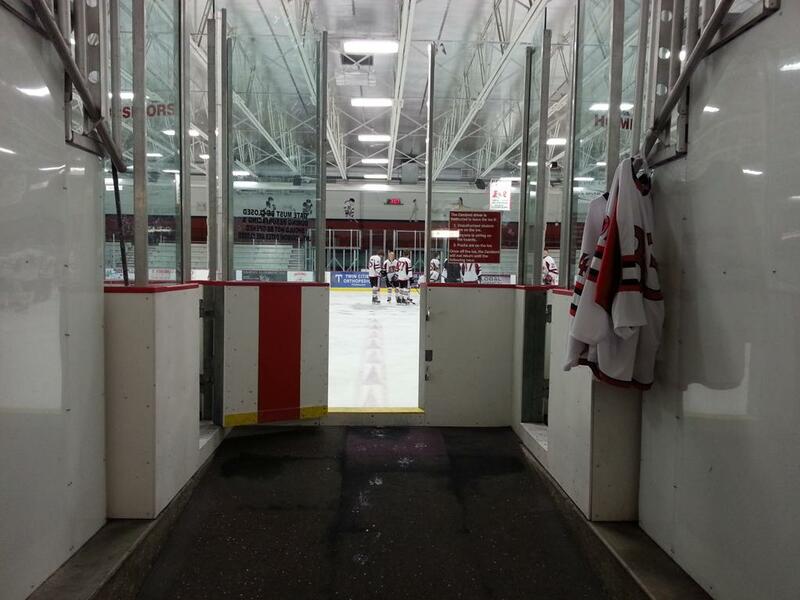 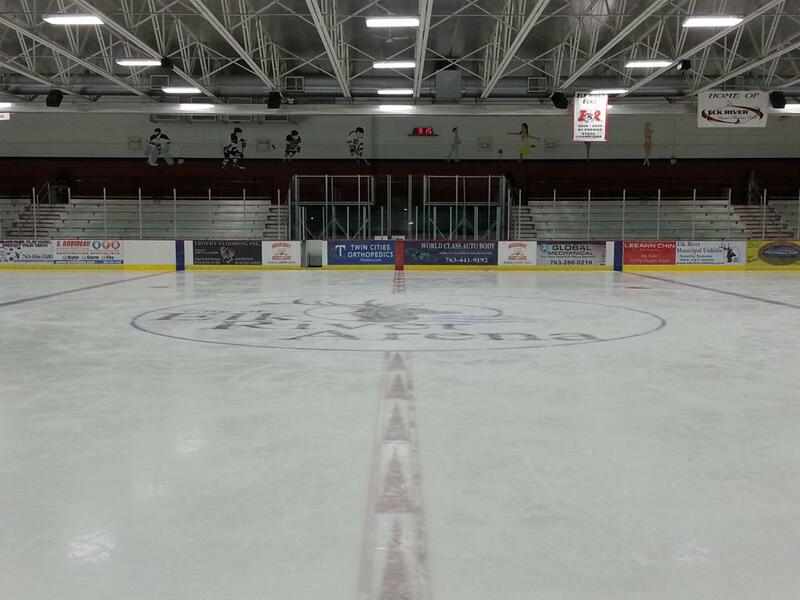 The old arena houses a standard 195 x 85 ice sheet with seating for 400 spectators. 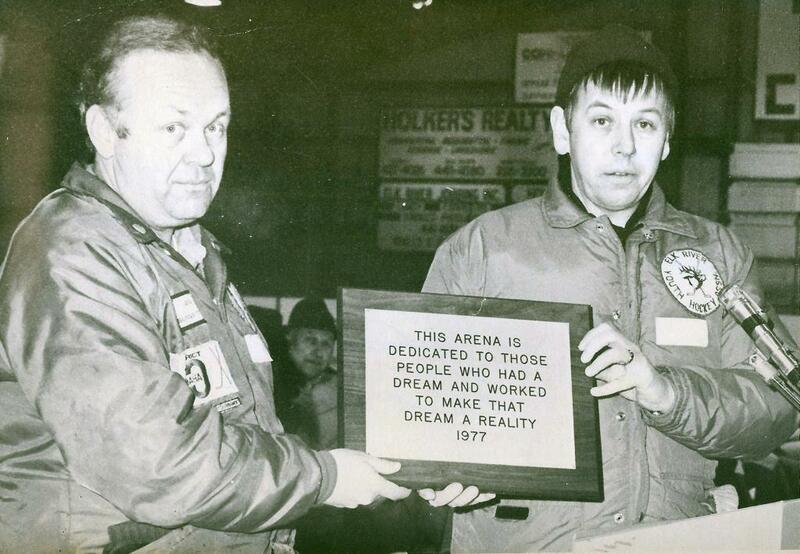 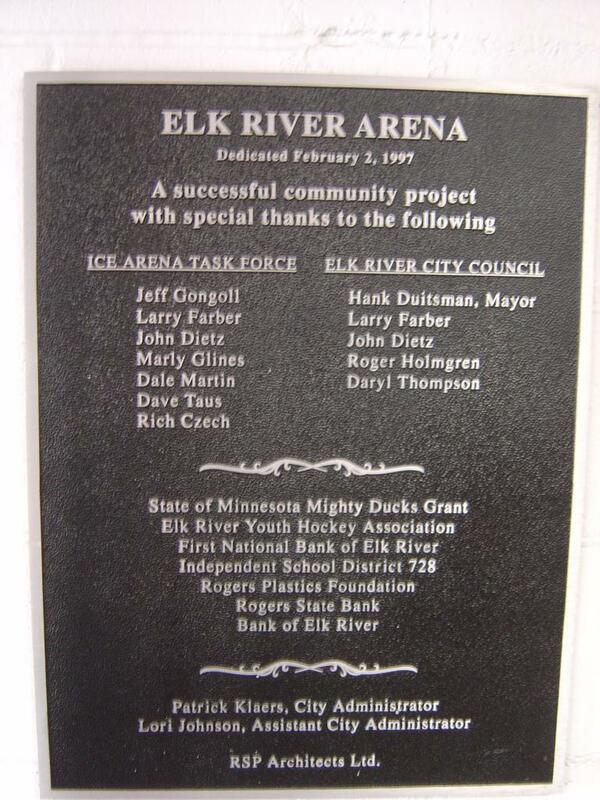 Back in 1997, with lots of community support, the Elk River Arena expanded to 2 sheets of ice for the growing hockey programs in the city, and surrounding communities. 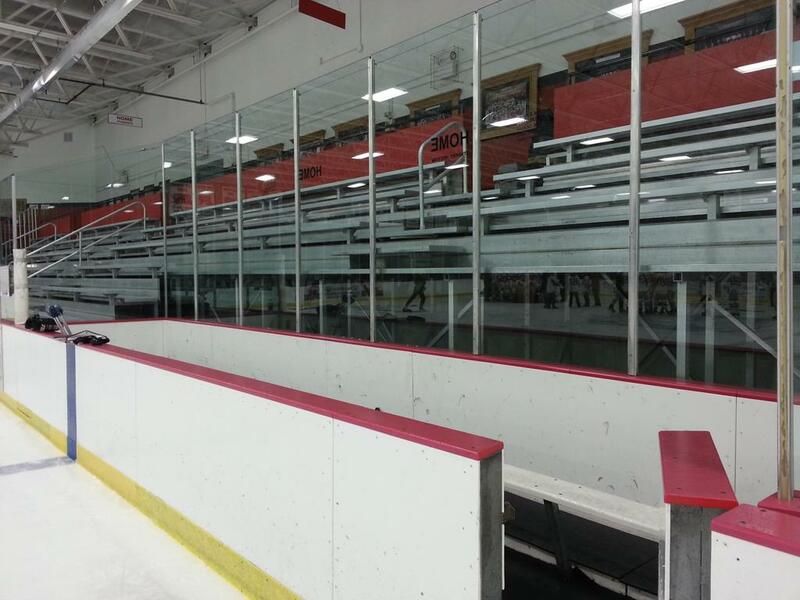 This new arena features an olympic sized sheet of ice at 200 x 100 with seating for 1,200 people to cheer on the Elks during a cold Minnesota winter evening. 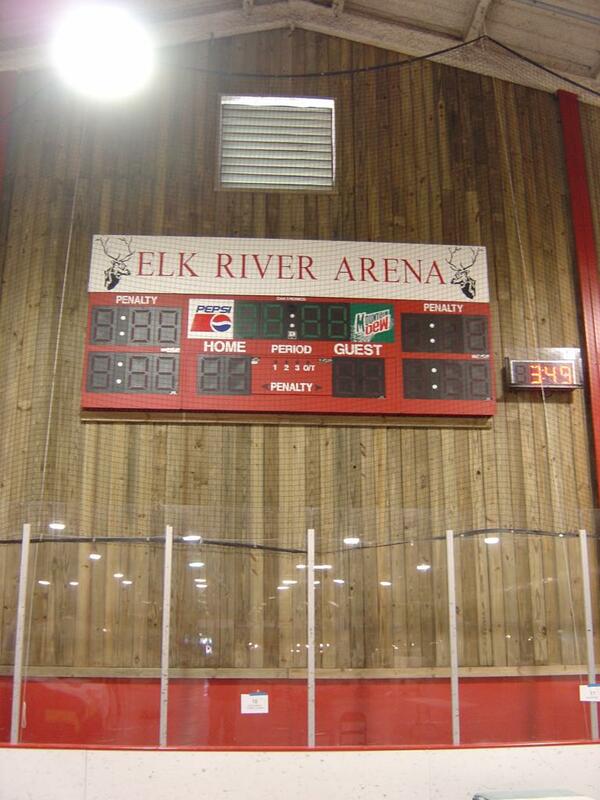 Since 1997 the Elk River High School team has played all of it's games in this new Olympic sized arena. 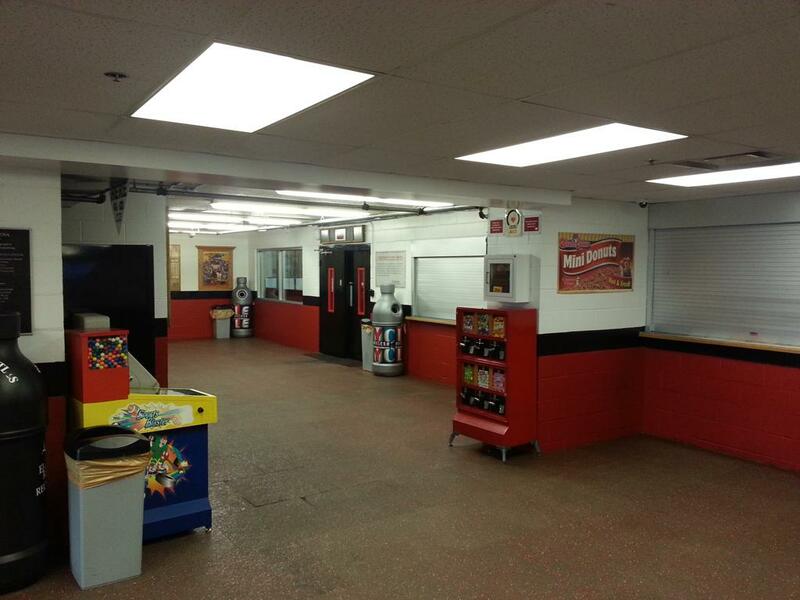 In addition to public open skating, the new rink also offers other leisure opportunities, such as a lunch hour stroll in the upper concourse that wraps around the entire rink.